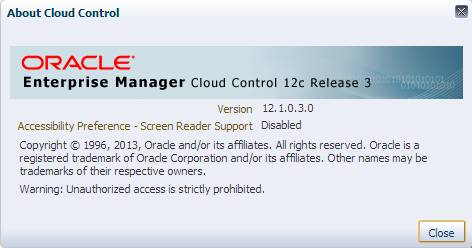 Now that Oracle Enterprise Manager Cloud Control 12c Release 3 (aka EM12cR3!) has been out for a few weeks, I decided to brave it and upgrade our Production stack today. 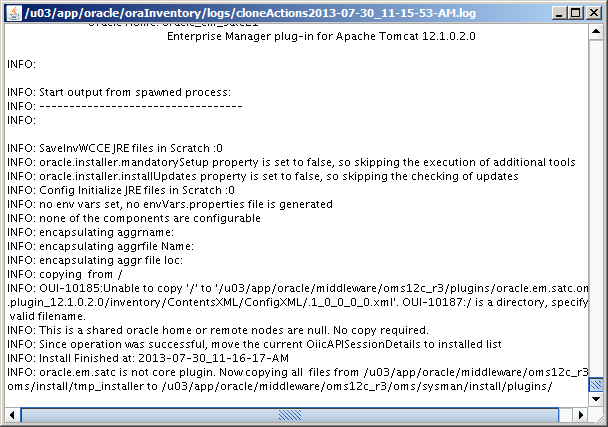 In this post, I’ll be upgrading an EM12cR2 (12.1.0.2) installation which consists of two OMSes, running on Linux x86-64 (RHEL5) which uses an 11.2.0.3 database management repository. I do not have BI Publisher installed here, if you do, then take a look at this. Before you begin, make sure you have plenty of disk space. 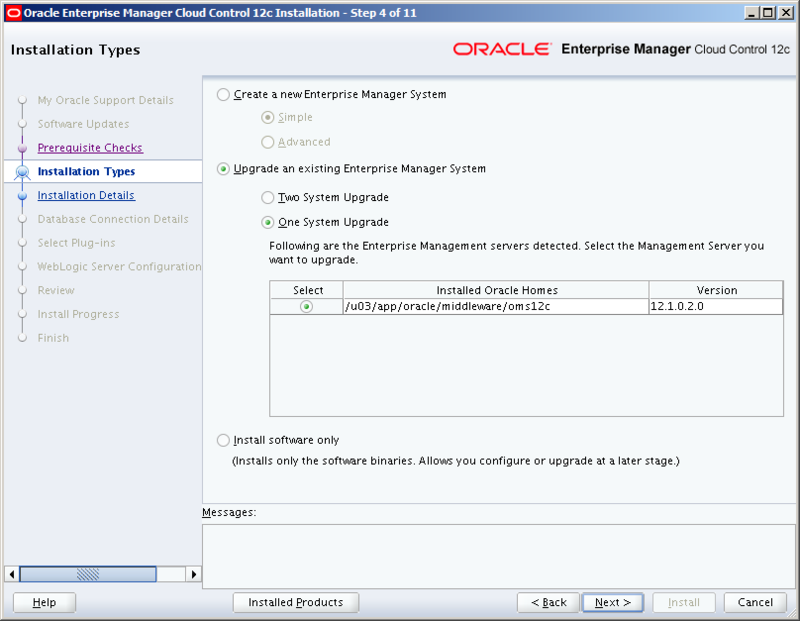 The EM12cR3 disk requirements have changed slightly, in that it now wants a minimum of 14GB available per OMS (that’s with the EM software library configured), as opposed to 7GB in EM12cR2 (without the software library configured). My EM software library sits on a different filesystem, so I ended up having to get another 7GB of space added to the OMS filesystem before I could carry on with the upgrade (the installer checks part way through). Also, make sure you take a full backup of your Management Repository database, and of your software library. If there are any, then you’ll need to drop them as mentioned in step 2c of the upgrade documentation here. Once everything has been shutdown, backed up and prepared as above, make sure any cron jobs etc. are also disabled. As an example, I have jobs which use EMCLI commands which run quite frequently. 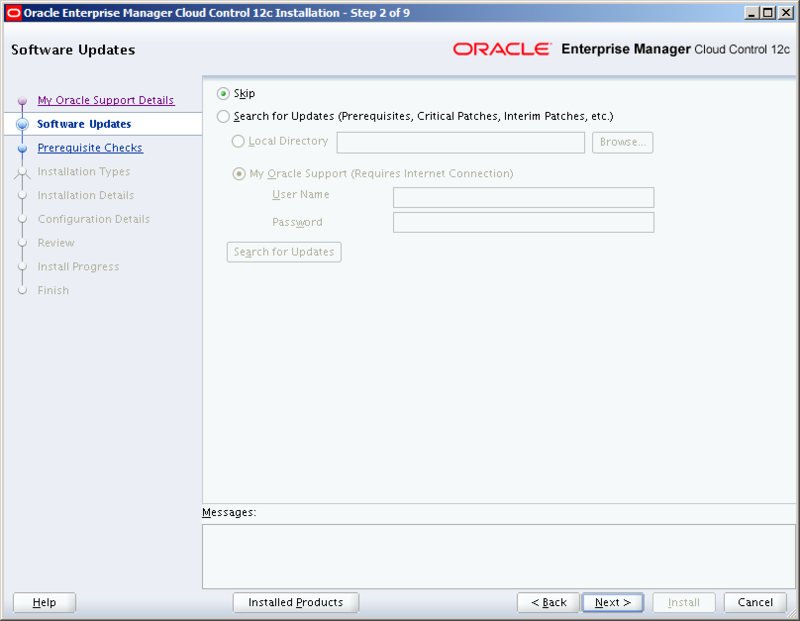 Start the installer from your primary OMS first. All prerequisite checks should complete successfully here, if not, then obviously they will need addressing before proceeding. 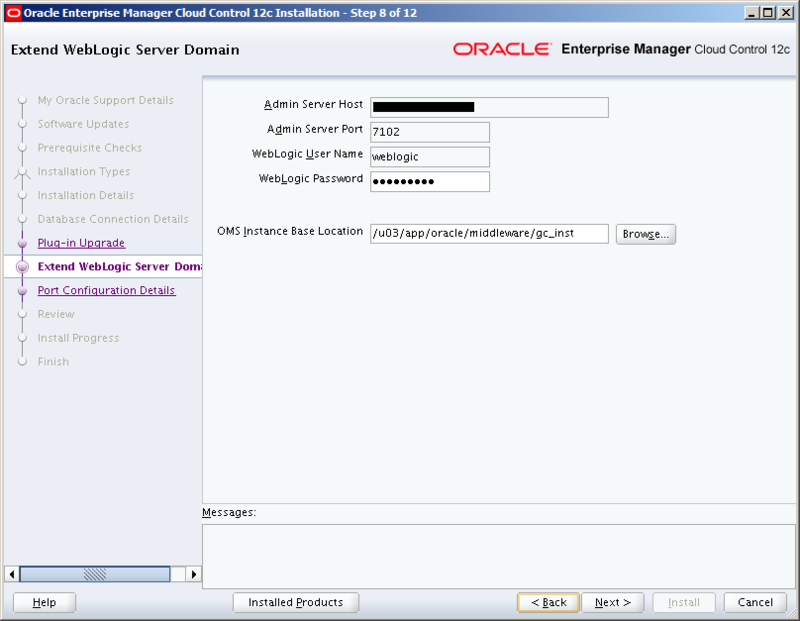 NOTE: Upgrade to 12c Release 3 (12.1.0.3) is an out-of-place upgrade, therefore you must either select an existing middleware home (where Enterprise Manager is not already installed) or enter a new home. Again, you’ll need to be patient here whilst the changes are implemented. This page will obviously vary depending on your installation. Check the version details. 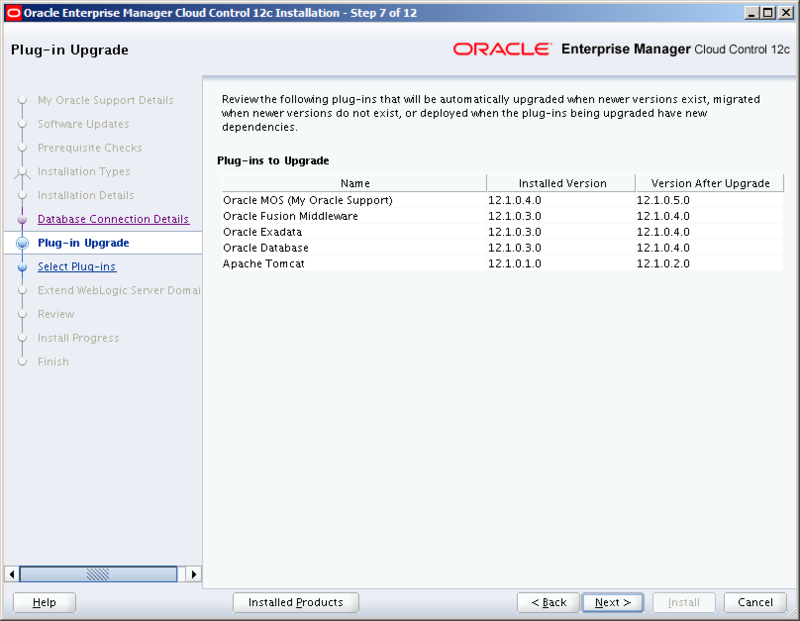 Here you have the option of deploying additional plug-ins as part of the upgrade. I left all unchecked. 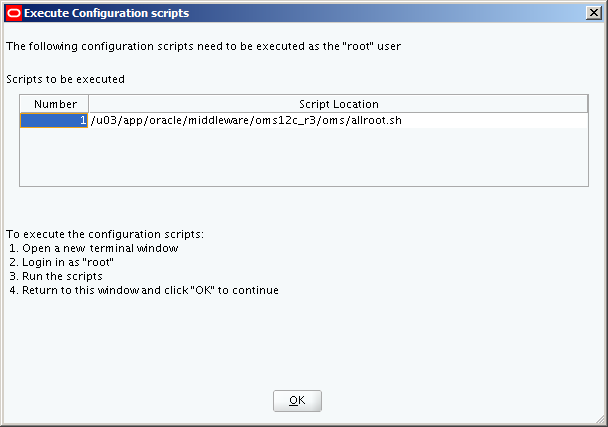 NOTE: I was tempted here to change the default location to /u03/app/oracle/middleware/oms12c_r3/gc_inst, as I prefer to keep everything under the MW_HOME if possible, but this note about it persuaded me to leave as is, in case it causes any complications further down the line. 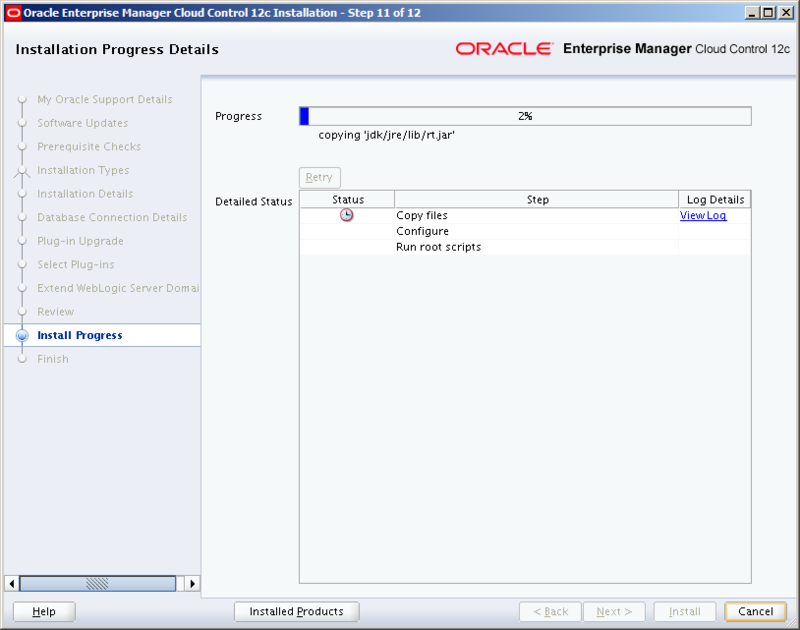 From the point of clicking install, the upgrade process of the primary OMS and database repository took 1hr 10mins in total. 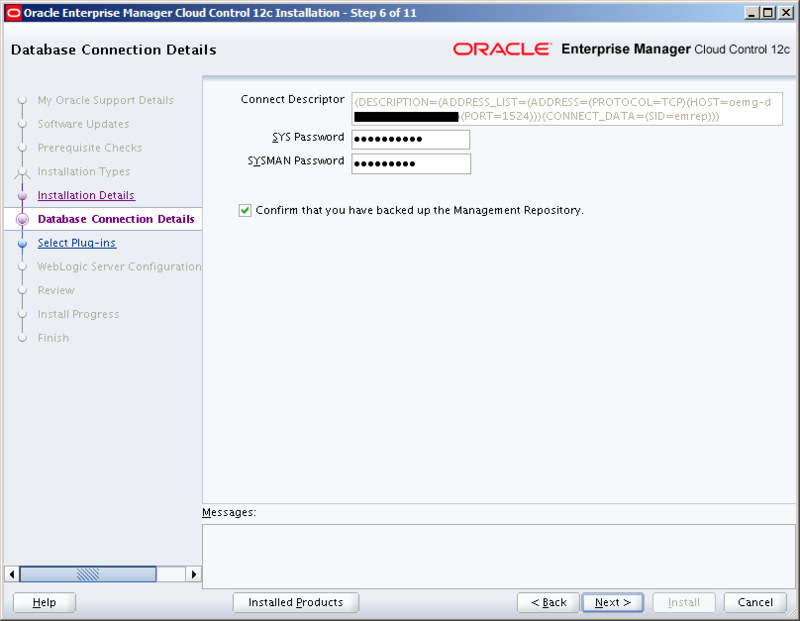 Database Connection Details: whilst they’re still required, no pre-checks are done here as the management repository has already been upgraded. Extend WebLogic Sever Domain: ensure the Admin Server details linked to your primary OMS are used (the installer should default to it). 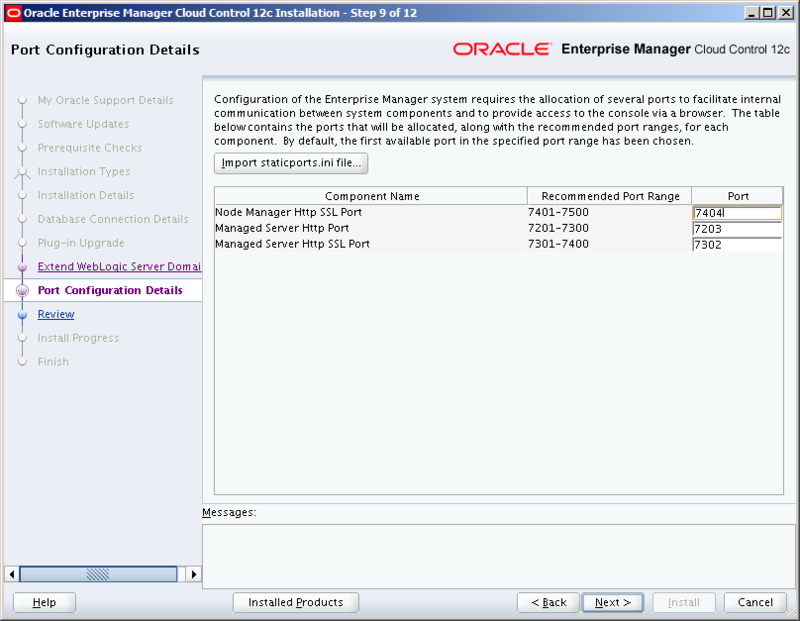 Port Configuration Details: optionally, change the ports allocated to your Node Manager and Managed Server (OMS). 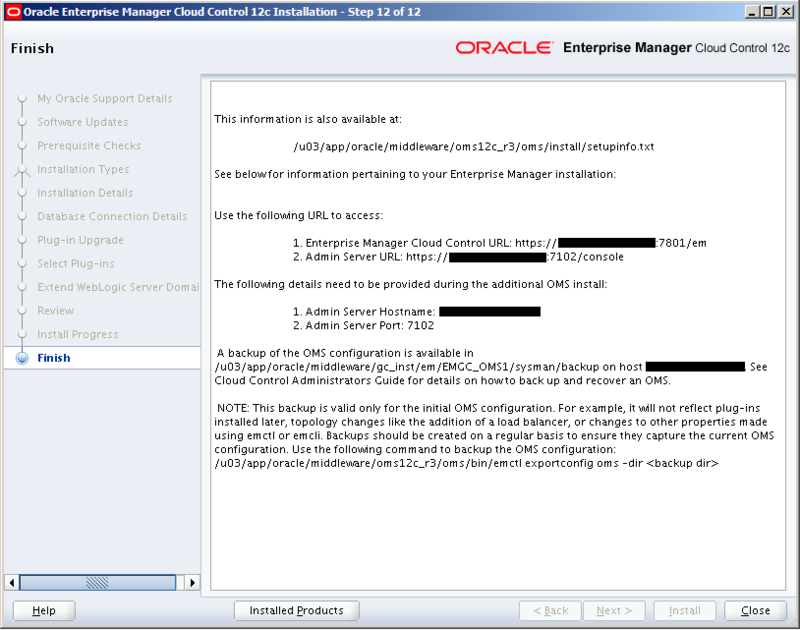 From the point of clicking install, the upgrade process of my second OMS took 20 minutes. 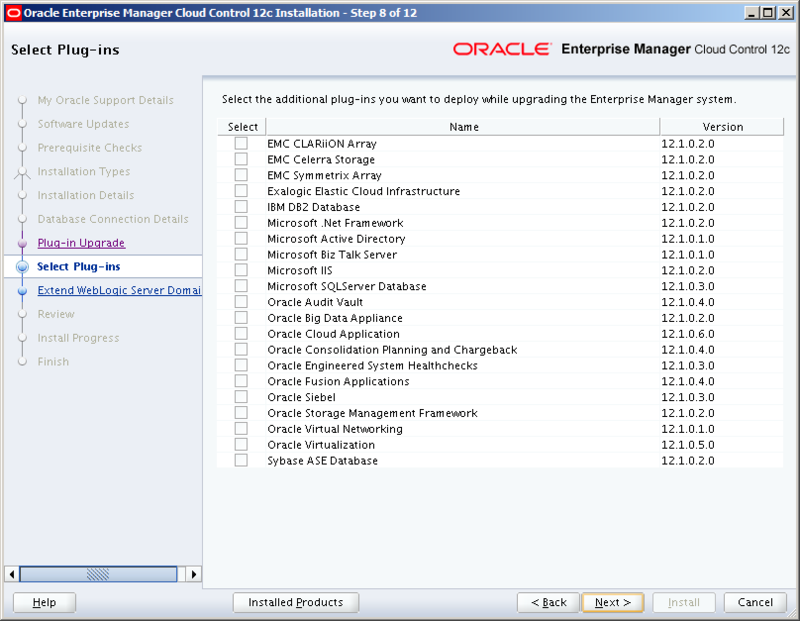 After upgrading all of the OMS instances, upgrade the Management Agents, starting with the ‘central agents’ that were installed with old OMS(es) first. 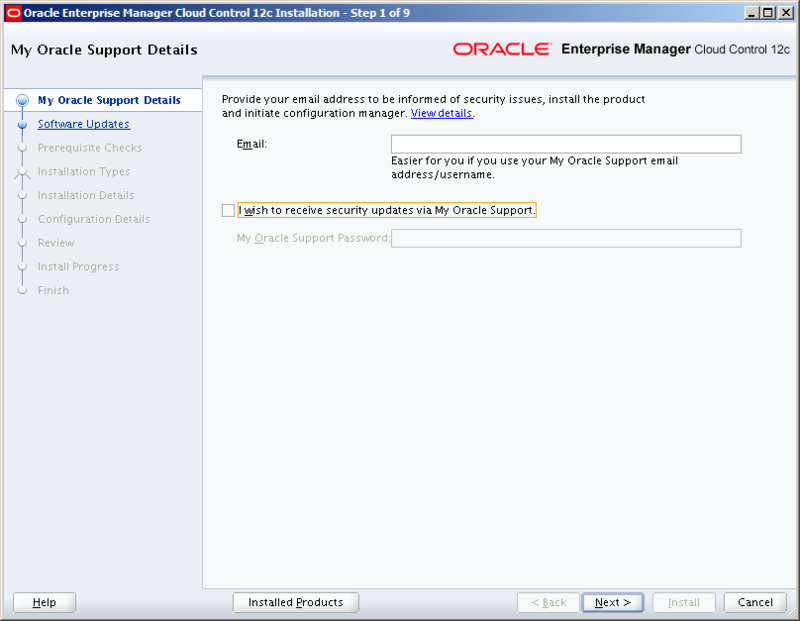 This is not done automatically as part of the OMS upgrade. 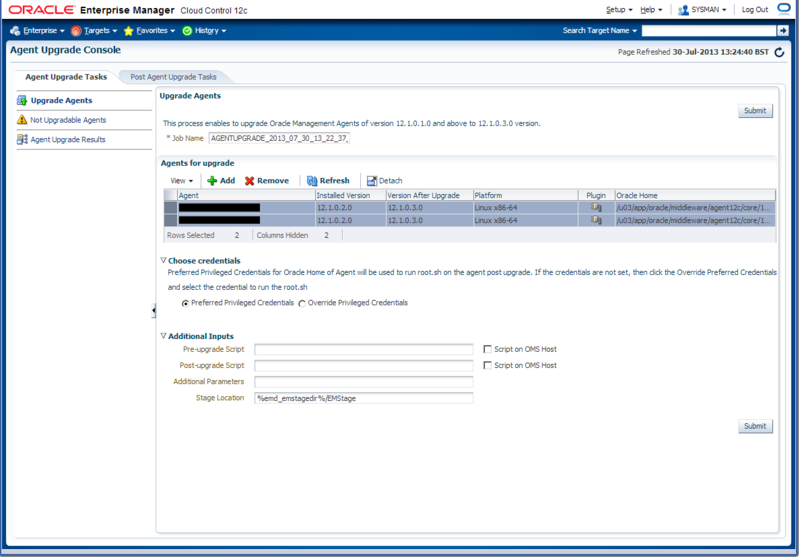 Navigate to: Setup >Manage Cloud Control > Upgrade Agents. Repeat this process so that all Management Agents are upgraded to version 12.1.0.3. Alternatively, you can you EMCLI commands to upgrade your agents. NOTE: You may need to download new 12.1.0.3 versions of the agent software using ‘Self Update’ before all Management Agents can be upgraded. When you’re confident everything is working as expected with each agent, you can submit clean-up jobs to delete the obsolete directories ($AGENT_HOME/core/12.1.0.2.0/* and $AGENT_HOME/backup_*). 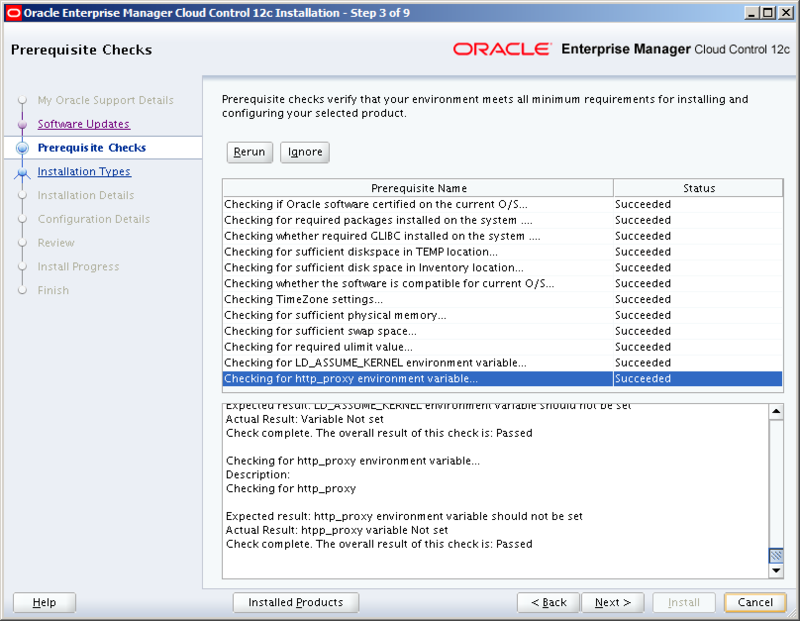 This is important….I noticed that as part of the upgrade from EM12cR2 to EM12cR3, users previously subscribed to the “Incident management rule set for all targets” system generated rule, had been removed. As a result, notifications weren’t being sent out after the upgrade, as they were previously, so make sure you use a custom rule set, even if it’s just a copy of the out-of-the-box one 😉 …otherwise you may well be wondering what’s happened to your notifications after the upgrade! Great Post/Tutorial/How-To. Thank you !! 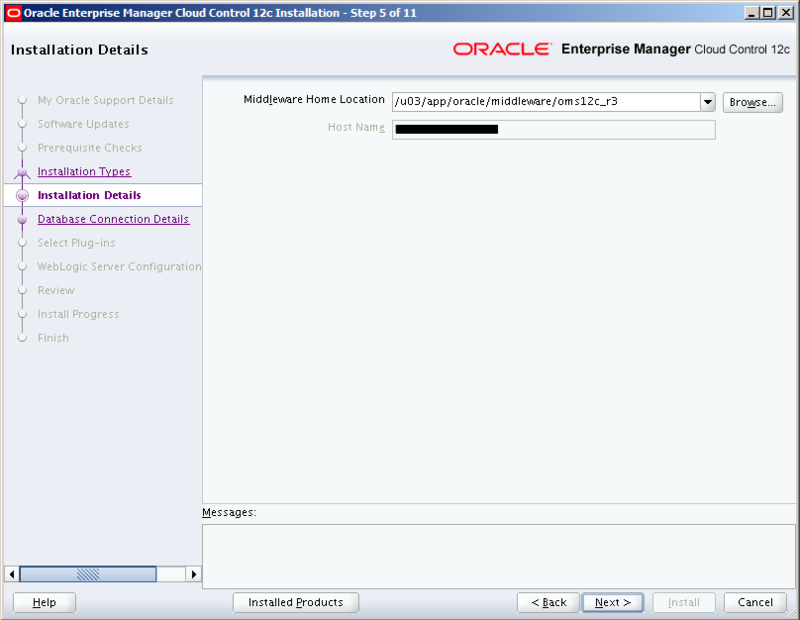 Great post, I am working on this EM12c Cloud Control upgrade next month. This post was a great help. I really appreciate having the screen shots. I performed the update in two stages – software only, then upgrade. 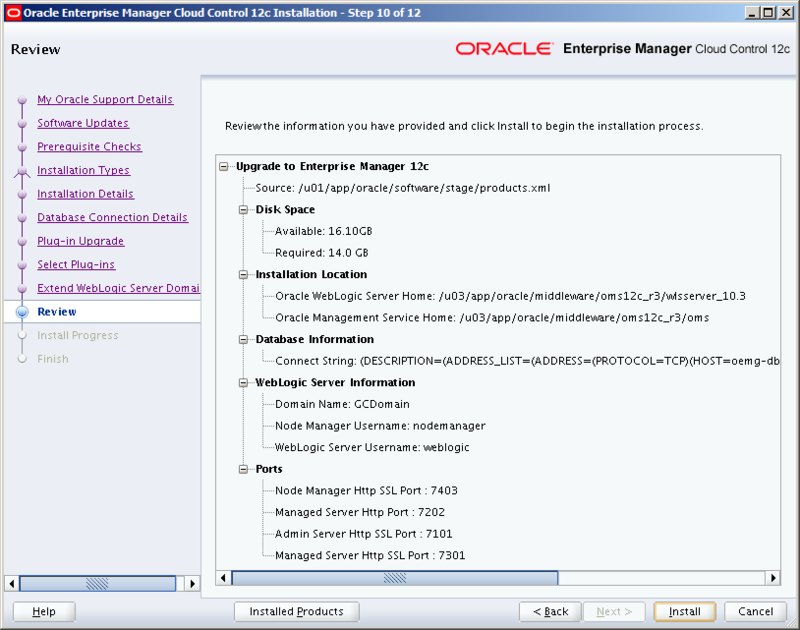 To do this, I followed instructions in the EM 12c Cloud Control Upgrade document Chapter 5. 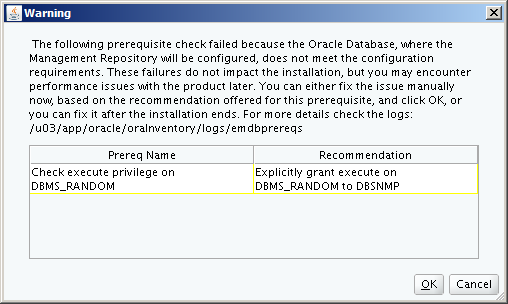 I did not have to install DB patch 11061801 as the DB is 11.2.0.4. 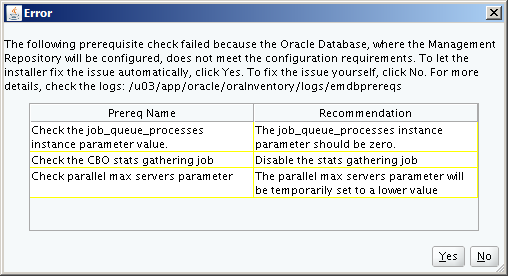 Ensure EM parameter oracle.sysman.core.conn.maxConnForJob Workers is set to at least 60 AND the profile used by SYSMAN has unlimited idle_time. Upgrading the Agents took longer than I expected, so be patient with this step. Thanks for the feedback Laura, I’ll try and supply screen shots with similar style posts going forward, as people do seem to find those helpful 🙂 I feel your pain with the agent upgrades – it can literally take days to get through them all depending on the size/scale of your environment!